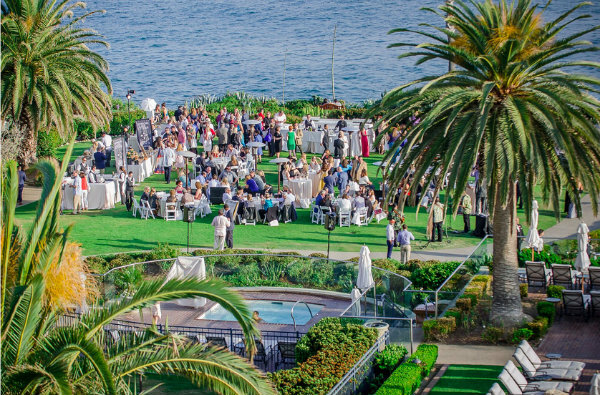 One of the most beautiful charity events of the year, Laguna Beach Taste of the Nation will be celebrated at Montage Laguna Beach overlooking the Pacific Ocean on Sunday, May 5 from 2:30 to 7:30 p.m. The 12th annual event helps raise funds for Share Our Strength’s No Kid Hungry. Host chefs Benjamin Martinek, chef de cuisine of award-winning Studio, and Lee Smith, pastry chef for Montage Laguna Beach, will welcome Australian award-winning Chef Curtis Stone as a special guest, along with other visiting chefs. Guests will savor featured bites created by celebrity chefs from California and two outstanding chefs visiting from Montage Los Cabos, Mexico. Excellent wines and champagne for sipping and crafted cocktails, including Cinco de Mayo celebration cocktails provided by Casamigos at the Margarita Bar, will be served. Along with craft cocktails from Titos and wines from ZD Wines and MacRostie Winery & Vineyards will be champagne and a visiting champagne specialist from Veuve Clicquot. There will be a silent auction, an exciting live auction and an after-party with more gourmet offerings. Additional highlights include one-of-a-kind wine tastings, a champagne toast, parting gift and mingling with celebrity chefs. Ticket levels: $250 per person for general admission from 3 to 7:30 p.m.; $275 for VIP admission from 2:30 to 7:30 p.m. Additional information can be found at nokidhungry.org/events/laguna-beachs-taste-nation/. Montage Laguna Beach is at 30801 Coast Highway in Laguna Beach. 949.715.6000.